Rabbi Menachem M. Schneerson once said, “The first step to serving G-d is, not to do what one feels like doing.” The Talmud says, scholars would push themselves to eat later than everyone else. Our minds are tremendously powerful. They not only influence the energy of our thoughts as they project in the world, they actually influence and determine our physical realities. Inside every physical object is a pure and refined spark of G-d. A spark of holiness and blessing. For a person to connect with this spark he must wage war against himself so that he should not want the physical but should seek to benefit from the food and the object, only to serve G-d. If a person eats only to pursue his physical pleasure and enjoyment then that’s the part of him that becomes stronger and more pronounced. The physical takes over and drowns out the possibility of the spiritual to have any influence in his life. The source of everything is G-d. The entire universe is filled with His Glory. A pure and perfect spark of G-d evolves and changes until it becomes outwardly a coarse materialistic object. To the eye and on the surface the food looks and tastes the way it does. 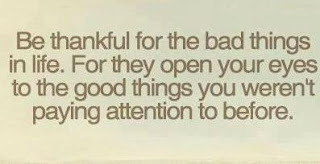 Sometimes this can be a blessing and sometimes it’s quite the opposite of what’s needed for the person. The core however, the spark contains the infinite qualities of G-d and is always good. The Talmud says a story that once in a very poor home the daughter told her father before the Sabbath that there was no oil, only vinegar with which to light the Friday evening candles. She wanted very much to light, since it is the most auspicious time for a woman to pray to G-d. The father who was extremely G-d fearing responded to his daughter. “The One who told oil to light can order vinegar to light. “Take the vinegar and light the candles with it.” She did so and it lit. The vinegar lit because deep down in the vinegar is the same exact core spark as in the oil. This great Rabbi and his daughter with their pious belief in G-d were able to penetrate the outer limitations of liquid and connect with the unlimited spark of G-d inside. Abraham kept on maturing and growing in his faith as he grew older. At 3 years old at 40, 48, and 50, Abraham recognized G-d on deeper and profound levels. At the age of 75 Abraham reached a certain perfection and excellence of self-refinement and inner connection with G-d which was unparalleled. In this new stage G-d saw greater and better possibilities that lay before Abraham and gave him the route to reach there. In Hebrew “your land” can be understood as, your natural desires. Your “place of birth” can be understood as, all the feelings and emotions you have developed as a result of being influenced by your environment. Your “father’s house” can be understood as, all the intellectual conclusions you have come to over the years. As great as a person has become it is still only him, a finite natural human being. The Torah commands every person. In order to reach the land; ALL the land that “I” G-d intend “to give you and all your children”, a person must divest himself of the inclinations built in to the corporeal and physical and surrender to the will of G-d.
Outgrowing the confines of bodily stimuli becomes a life dominated by the spiritual. “He” becomes smaller which allows more of G-d to attach itself to the person. This inevitably showers him with infinite unlimited blessings in the physical. Are you searching for,” the truth? 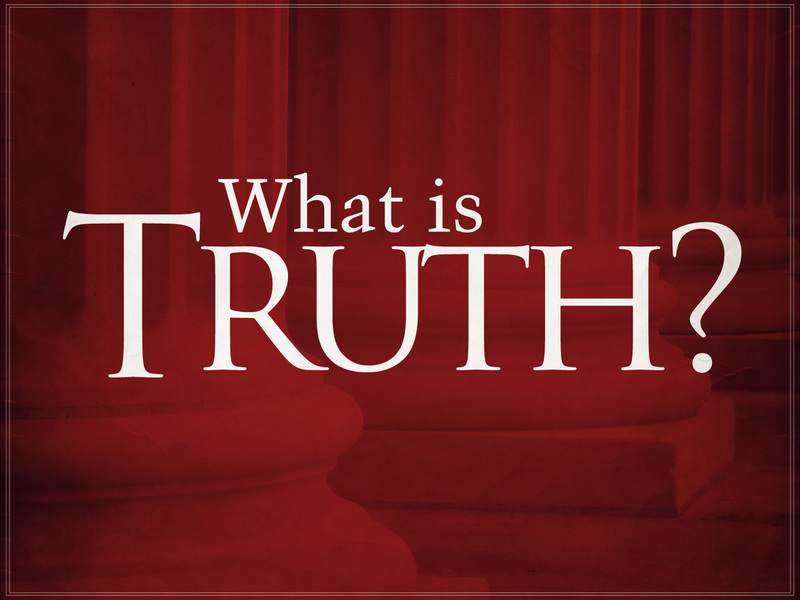 ?” What is, the truth? People innately and instinctively search for truth. Most people never discover truth for many reasons, all the while craving and yearning for it. The signature of G-d, is truth. G-d characterizes Himself, as truth. Does that help? Here’s another hint. In Hebrew the word for truth is EMET, made of three letters, Aleph, Mem, and Tof. The first, middle, and last letter of the Hebrew alphabet. Does that help? A couple is celebrating their fiftieth wedding anniversary. A great big party is made and the husband presents his wife with a gorgeous diamond ring. One hour after the party the ring evaporates. Did he dupe her? The ring was real, during the party. It did disintegrate after all the guests and friends went home, but it was real when it was presented, or was it not? Let’s say it didn’t evaporate after the party but instead of lasting a lifetime, “a diamond is forever”, it was discovered to be, not the material it was characterized to be. According to Jewish law, “living waters” which have the power to purify, must come from a body of water that is always existent. If the waters should dry up even once in seven years the water is not living, even at the very beginning of the seven year cycle. At the very beginning of seven years the time clock is already ticking to its demise, so death and termination is its inherent reality, rather than life. Living is only what this water appears to be when in truth death is its fate. Does that mean we are investing our lives in transience and impermanence? Could this be why we search for truth. Somehow to attach ourselves to more than where our bodies can reach? However if you met me at “ my address”, a mansion overlooking the ocean with expensive cars parked in the driveway, only to find out I rented this location for ten minutes, you would be right to accuse me of being “untruthful” since I allowed you or I even fed you with a deceptive and misleading image of myself. Because we are inherently spiritual beings in a physical body we seek the qualities not of relative truth but real truth. A reality and actuality which lasts forever. Why waste time and investment on something that will not be around tomorrow when I can invest in permanence. 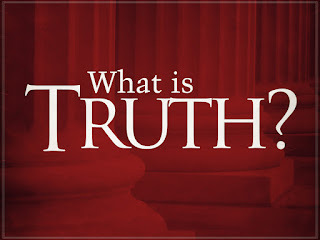 If you are unhappy with all the lies and untruths around you, you are searching truth to satisfy the yearnings of your true self, the soul that desires eternal qualities, you will find it only in G-dly practices as spelled out in G-ds Bible. The more a person invests his energies and attaches himself to G-dly practices, the more he will satisfy the constant feeling for meaning and purpose in life. Everything else is shallow and fleeting, hence not deep reaching and not the truth. Pursuing a G-dly life is the only path to true happiness. Our claim to the Land of Israel. In what merit, on what basis, do the Jewish people claim this small strip of land on the Mediterranean? It is certainly not any UN resolution since the Jewish people have been in Israel thousands of years before the UN was even formed. It is not by the good grace of any countries we know of today, since the Jewish people have been living in the Land of Israel way before any of these countries where populated and/or discovered. The bible tells us G-d made a covenant with Abraham and promised, “To you and your children I have given this land.” Abraham’s children were promised the land of Canaan. G-d says the reason why it will still take some time before it can be transferred to Abrahams children is because, “the sins of the Amorites have not yet reached its saturation point.” The message seems pretty clear. Living on this land is uniquely a matter of spiritually deserving to be there. King David knew this from personal experience. As a young lad, David and Goliath confront each other, Goliath with his armor and shield, David with his staff and sling. "The Philistine cursed David by his gods." but David replies: "This day G-d will deliver you into my hand;…. all the earth may know that there is a G-d in Israel, and that all this assembly may know that G-d saves not with sword and spear; for the battle is G-d’s, and he will give you into our hand." 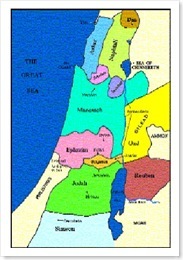 The land of Israel has no deep reservoirs of oil or significant bodies of water to rely on. The holy land of Israel has the unique power to connect a person with G-d directly, the greatest source of everything. Israel is a land that G-d Himself watches, like the apple of His eye. The Land of Israel more than anywhere else in the world experiences miraculous and G-dly occurrences all the time. The book of the Zohar says, “G-d apportioned the nations and lands of the world, to appointed emissaries and officers. Over the Land of Israel, no Angel or appointed one has any power but G-d Himself. Therefore G-d took a people, who no one has any power over, into a land that no one else (but G-d) has any power or authority. As we get close to the end of all the holidays in this month, and the end of the yearly cycle of Torah reading, I would like to talk about the last three principles of faith as enumerated by Maimonides. The belief in divine reward and retribution, in the arrival of the Moshiach (Messiah) and the messianic era, and the belief in the resurrection of the dead. The seminal book on mysticism – the Zohar, writes that the resurrection of the dead in the times of Moshiach, will be from the Luz bone, which is at the back and bottom of one’s head. 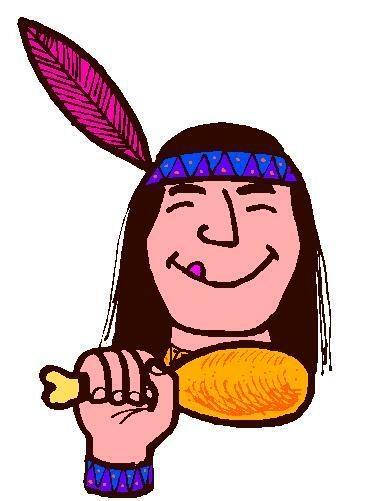 Incidentally, this Luz bone is only nourished at the Saturday night meal after the Sabbath. In truth this reasoning for the indestructible bone, was offered only to satisfy the question of the Emperor. In mysticism and on a deeper level it explains. We are all made of a body that returns to its own essence, the dust of the ground, and a soul that returns to G-d who granted us this soul at birth. The ultimate reward for doing G-ds commandments in one’s lifetime, is not where the souls go after a person passes away. Paradise up in heaven is only a prelude for the grand finale. The ultimate reward must include the body with which we toiled and who we refined in the process of doing our commandments and G-dly instructions, similar to the punishments after one passes away which include the body. The time of the resurrection is strictly a reward for our service today. Submitting (by bowing down) our bodies to the eternal qualities of G-d and His will, earns us our place when the eternal rewards are doled out. This is the real reason why there is a part of the original body from which G-d recreates the body. As far as the laws of nature go, the body rots in the ground. However, because the soul, the G-dly spark within succeeded, to work with and include the body in the observance of G-dly deeds, which are eternal, the soul acquired and influenced those aspects of the body for itself and assimilated them into its own characteristics. The body now acquires an element that is eternal. And it is this bone, a central and key part of the body from which G-d will extend those eternal qualities achieved during a person’s lifetime.